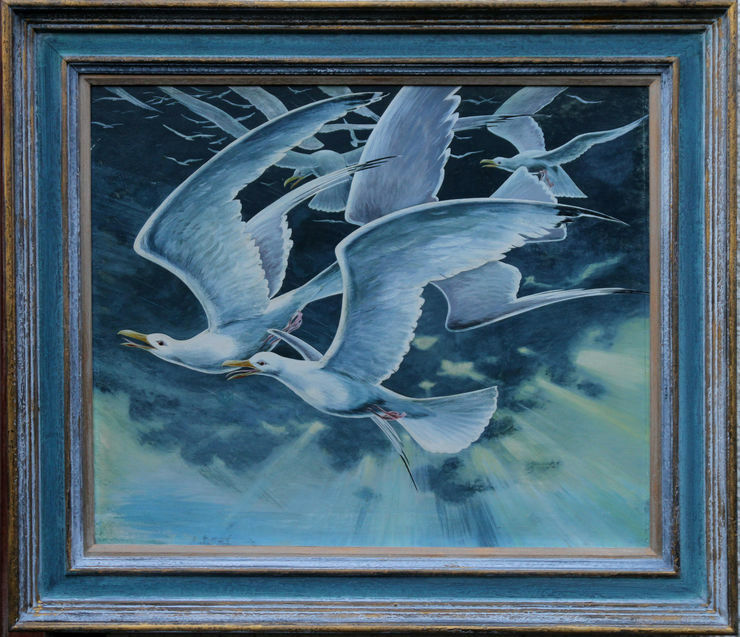 A superb, detailed and meticulous egg tempera oil on panel from around circa 1960 by Stuart Maxwell Armfield. 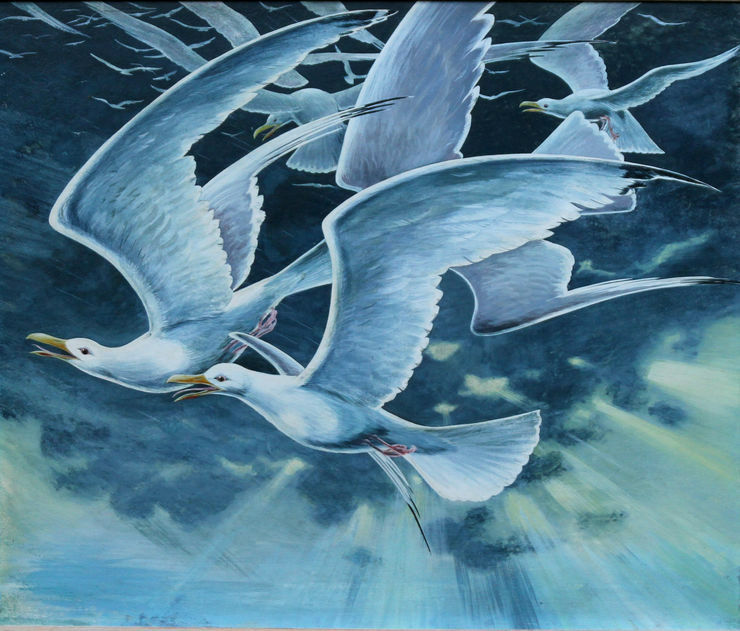 The painting depicts a flock of seagulls in a bold, strong and surreal colouring with sharp edges and fine lines. Hand made gallery frame 30 inches by 28 inches approx. Gallery condition. Stuart Maxwell Armfield (1916-2000) was renowned for his use of the traditional egg tempera technique, a skilled process that uses egg yolk to bind pigments, and which dates from the Byzantine world of the early Middle Ages. He was born in Sanderstead, Surrey, and studied at the West of England College of Art. He showed at both the Royal Academy in London and with St Ives Society of Artists of which he was a member. Encouraged by his successful artist uncle, Maxwell Armfield, Stuart took up the use of tempera (what he called ‘the be-all and end-all of painting’) and was very keen on promoting the use of such traditional skills through their use in the production of his pictures. He particularly favoured the medium for its ability to depict clear lines, razor sharp detail and bright colour. He is perhaps best known for his vivid still life works.